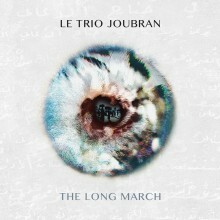 Get THE LONG MARCH in LP Vinyl ! The package includes a download code for a digital listening ! 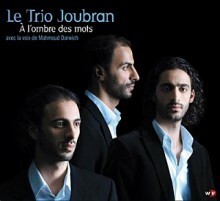 This Collection of 5 CDs & 1 DVD celebrates Trio Joubran career over the past ten years: Randana and Majâz, À l'Ombre des Mots (In the Shades of Words) with the poet Mahmoud Darwish -an anthology with strong, symbolic meaning-, Le Dernier Vol (The Last Flight) Movie Soundtrack and the impressively mature album AsFâr with the voice of Dhafer Youssef and the great Master of Percussions Youssef Hbeisch. 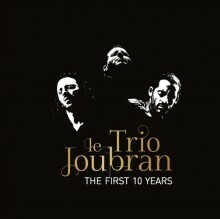 A stunning DVD depicting the life of the Joubrans at the height of their art on stage and off is included in the collection. 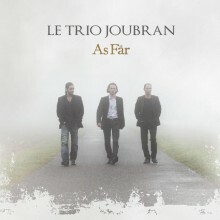 The three brothers who constitute the Trio, now at the height of their maturity and knowledge, made AsFâr, their fifth album, with music composed as well as “experienced” by all three of them. For the discovery of other cultures cost them a lot of struggles as well as many joys. This CD/DVD recorded live in Ramallah in August 2008 is an intense tribute to the Poet Mahmoud Darwish, with whom the Joubran brothers often collaborated. 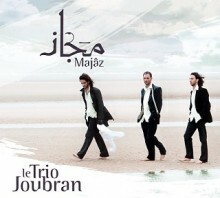 The Joubran's Trio second opus, is the arabic translation of the word "metaphor": just like that rhetorical technique, the trio intended once more to carry its audience from one emotion to another. 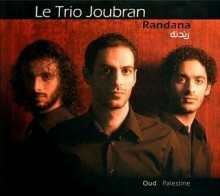 For this second album, the Trio brought in percussionist Yousef Hbeisch. A new international tour, made all the richer for his artistic contribution, is at the heart of their program for the 2007-2008 seasons. Between painful, ecstasy and somptuous silence, the Trio's overwhelming stage performances are both precise and overflowing with emotions that take their audience's breath away.